We are kitchen worktops specialists, providing bespoke kitchen worktops surface fabrication and fitting. Finch’s are one of the oldest and most established companies in the stone granite kitchen worktop surface industry. 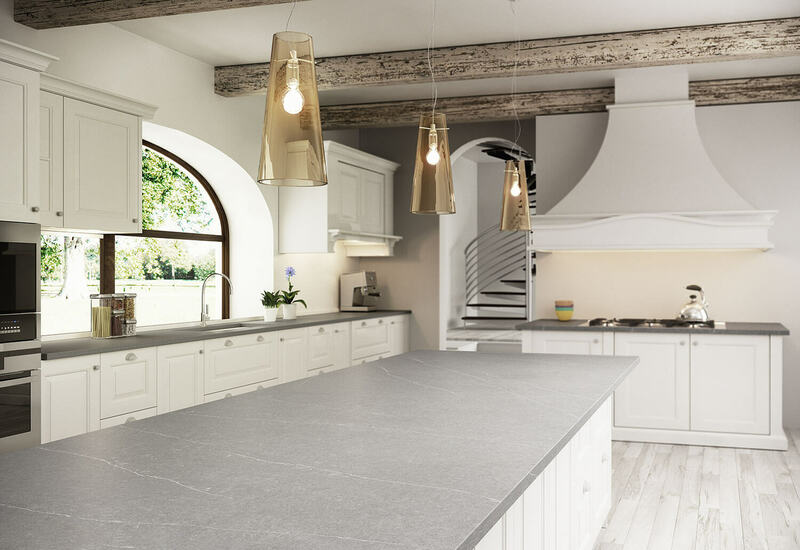 With 4 generations of our family involved within the family business we pride ourselves on our innovation in the stone – granite industry and the quality of our kitchen worktops surface products. 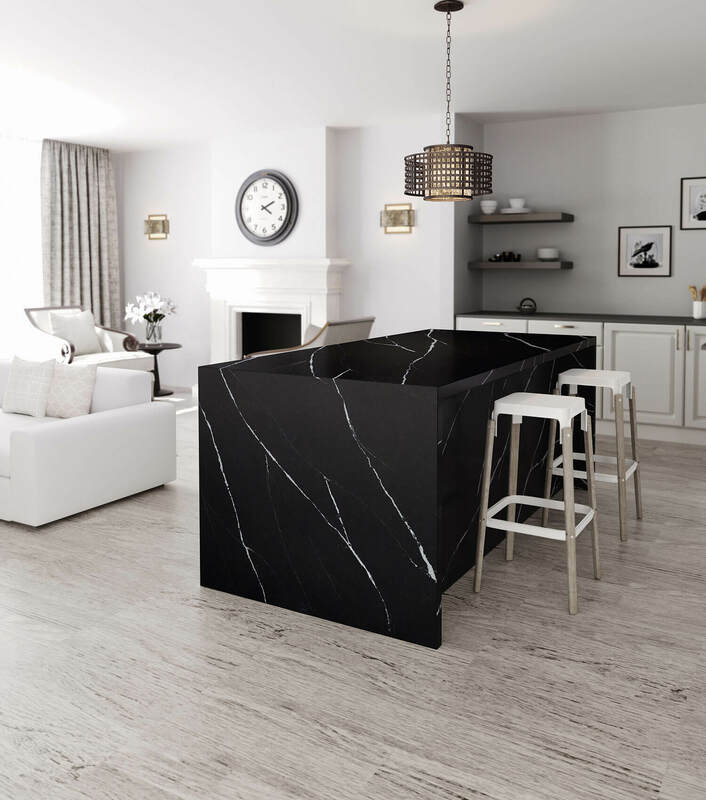 From Granite – Quartz kitchen worktops to marble fireplaces we import only high quality materials producing the finest bespoke products to your exact requirements. We provide a host of natural & man made products in Granite, Marble, Slate, Quartz and Stone as well as other services including importing, Fabricating, enhancing and maintaining that quality finish. The Finch family can trace there association with the stone trade back 5 generations and over 150 years. We are synomous and intergral to the history and the progression of quarring stone in the north west of England. We have made a multitude of products and provided services for the stone – worktop trade over the years . From quarrying stone and sawing blocks many years ago to the latter day incarnation of importing marble, granite and quartz surfaces such as silestone and Caesarstone from around the world to produce quality products such as Granite countertops, granite and quartz kitchen worktops, vanity units, floor tiles, hearth and backpannels and complete marble fireplaces at our factory and showroom on Skull House Lane, Appley bridge near Wigan. We are very proud of our heritage and our family owned many of the local quarries that have now sadly ceased excavation but at one time produced stone for housing and building for generations.But time marches on and we now supply many of Europe’s and the worlds finest granite’s, slates,marbles and quartz engineered stones with approved fabricator status with silestone, Ceaserstone and Technistone products to the whole of the U.K. Here at Finch’s Stone & Marble Ltd we endeavor to meet all your requirements to ensure a trouble free service. In all our years of service we have always had an open house policy to all customers, trade and public alike for the viewing of materials and finished product before your purchase. This “view the slab, before you buy” aspect is overlooked by many other companys and as a large proportion of our 400+ colours of materials are natural products they are subject to change. It is of great benefit for you to visit our factory and view the slabs before they are cut to ensure you get the exact colour and finished product that you deserve. This also gives you and us the opportunity to discuss your exact requirements, ask any questions you/ we may have and take samples of the materials home with you for comparisons with your décor. Finch’s Stone & Marble are very proud that most of our enquires for Granite worktops comes from recommendations. In fact, in a recent survey we found 75% of our workload is recommendations from satisfied customers. Some people even returning for their second set of worktops after moving house! After all we have been involved in the fabriaction of kitchen worktops for over 30 years! and only use the best material such as natural granite, Silestone, Caesarstone,Diresco,Cimstone,Quarella and Technistone quartz surfaces. Please see our Testimonials page to see what our previous customers had to say about our products and services. 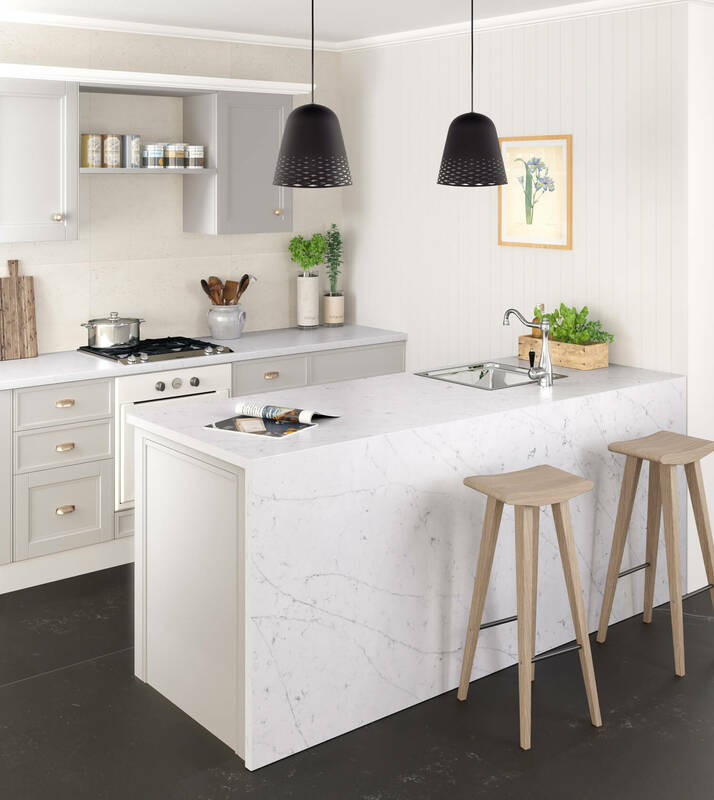 We supply Natural Granite worktops,Ceaserstone,Silestone,Cimstone, Technistone, Diresco and Queralla Quartz Kitchen Worktops and commercial countertops. We are not kitchen suppliers but If you are looking for a kitchen unit supplier,kitchen fitting specialist, we will happily point you in the right direction. We fit for most of the major reputable kitchen companies in the North of England and will cheerfully recommend the best you have locally. As a company we feel that you should play to your strengths. We know the stone industry and how to fabricate the finest quality stone products. Many other stone suppliers like ourselves try to sell you kitchen units and appliances so be wary of the “jack of all trades” company. We do what we do best and it shows in our approach and all our products! Look at our gallery pictures of kitchens to see different types of granite on different unit colours/ types. Details of the kitchen companies who supplied and installed the units is available in the description(if not please contact us ). If you would like more details on anything you see on our website please do not hesitate contact us. Unlike some of our competitors all three of our directors work alongside our staff on the factory floor to ensure the highest standards are maintained.Right through from initial contact to installiation the owners of the business take your calls and oversee your project from start to finish. Don’t believe us? Give us a call and speak to either Graham , Norman or Brian Finch directly when you call. Our greatest strength is in our transparency and open house policy to all. Call down and see us, your more than welcome. We have our own dedicated granite and quartz installation and fitting teams who are time served with over 20+ years experience. Once you project is booked in with us you have direct access and telephone numbers of our fitters as well as us! Over the years our policy of re-investing profits in modern equipment has paid dividends not only to our working environment but to our customers with the addition of saws, edge polishers and a c.n.c workstation. This production line allows us to manufacture precise sizes and produce work that far exceeds tasks performed by hand. The c.n.c workstation allows us to input all the parameters of a project into a computer by our skilled operators resulting in greater control and a precise cut & polish to fireplaces, vanity units, Granite countertops and granite kitchen worktops. All projects then proceed to our experienced finishers who inspect and complete the work by hand. Situated in the village of Appley bridge approximately 7 miles from Wigan town center and only 2 miles from junction 27 of the M6 motorway we are centrally positioned in the north west and within easy reach of all main motorways for accessibility for trade and private customers alike. How We Fabricate Your Surface….. Most of our customer’s are very interested in the whole process from start to finish of how granite and quartz is quarried or engineered, imported from the country of origin, selected, acquired by Finch’s and finally fabricated at our production facility before being installed into your home. We thought it would be a great idea to list this sequence of events in detail to give you a better understanding of the processes that have to take place before you can enjoy our finished product. We have tried to make this description as fluid as possible. Initially the material you choose has to come from somewhere! There are two distinct types of material that we use for Kitchen worktops, Bar counters and other high traffic working areas. 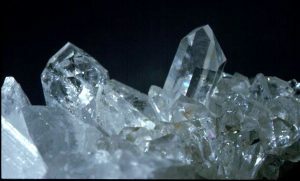 These materials are Granite , a natural material that is quarried from the ground or quartz, a natural product that is crushed and mixed with resin, colour pigments and in some cases mirror/ glass pieces to create a sparkle effect. Both materials have their own unique advantages, that’s why we created this guide to give you the best facts and information on these beautiful and beneficial surfaces. 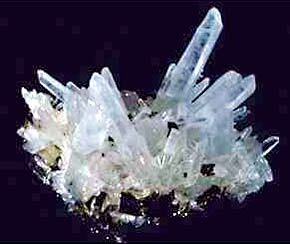 Granite is excavated in large blocks from quarries all over the world. There are many colours available and no two pieces are the same. The very random nature of granite is often its most beautiful characteristic. The word granite comes from the Latin granum, a grain, in reference to the coarse-grained structure of such a crystalline rock. Granite is quarried in large rectangular blocks as shown in the picture on the left. These blocks are then sent for processing into slab form where they are cut to the required thickness,polished on one side of each slab and quality checked before shipment to Finch’s. 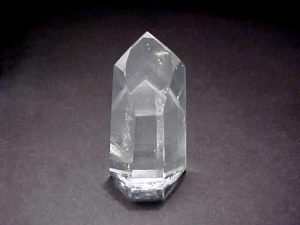 Quartz is crystallized silicon dioxide, a naturally found mineral in the earths crust. 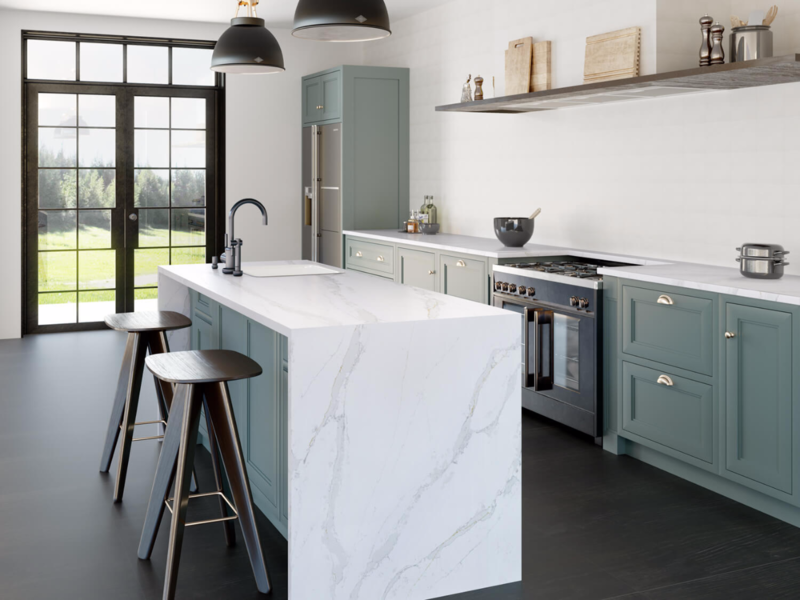 Its quality of extreme hardness and resistance to acids makes it beneficial to products that require precision and top-quality performance such as kitchen worktops. 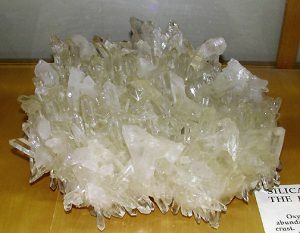 Quartz forms the main component in all our quartz brands such as Caesarstone, Silestone, Cimstone, Technistone, Quarella and Diresco. These manufacturers are strictly vetted by us and we only deal with companies that use 90%+ of quartz in their tested & proven product. Finch’s Have a full template and fitting service that is second to none. Unlike our competitors we only use dedicated, time served and accredited fitting teams for your project. Templates are made specifically to take into account for mis-shaped walls, unusually shaped kitchen units and notches for pipe work. At this point we can also take measurements for upstands, hob splashbacks, island end panels and windowcills. In some rare cases drawings may be made for replacement worktops as this creates minimal disruption to our clients. Finch’s start the fabrication process here. Only the finest, quality checked slabs of granite, quartz, slate and marble will be unloaded from the transport for stock in our yard. Any products deemed unsuitable for domestic use would be rejected. Finch’s take delivery of the granite or quartz slabs from the manufacturer at our stockyard, factory and showroom at Skull House Lane, Appley Bridge , Wigan. We have a complete, technologically advanced facility here to manufacture and fabricate, from slab your finished kitchen worktops, bathroom vanity units or fireplaces. 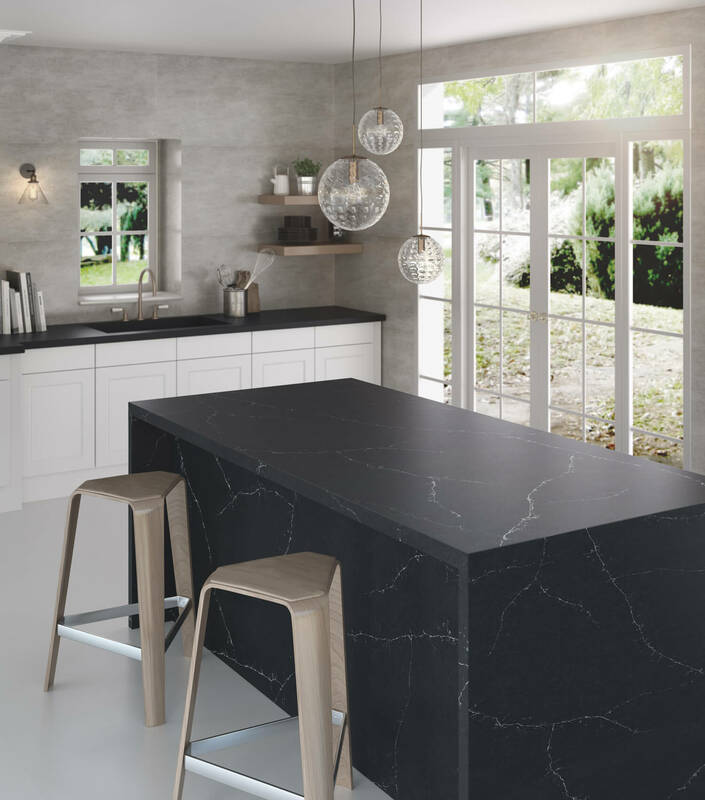 The process from slabs to finished product is very similar in either natural Granite or Quartz material such as Silestone, Caesarstone, Techinstone, Querella,Diresco and cimstone products. Slabs are hand picked by our saw operators form our stockyard with a premilinary check in accordance to specific customer selections then loaded onto the cutting table of the saw. Before fabrication each slab is extensively checked by hand and confirmed for suitability before being cut to size. Once loaded onto the saws and checked for suitability the granite and quartz worktops are cut to the specific size of the templates or drawings supplied. Beside the overall size of the piece, all raw unpolished cut outs, notches and unusual cuts are made at this point to ensure a perfect fit to the walls of your kitchen. Cut out for hobs or pipe notches are marked onto the granite or quartz worktop before being finally cut to the specification. 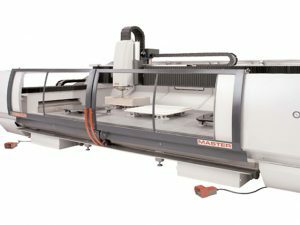 Laser guided saws are used in this process to ensure accuracy to the templates or drawings made by our experienced fitters or customers wishing to supply their own specifications. 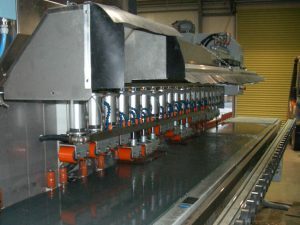 Once cut, the newly formed granite or quartz worktops are loaded onto our edge polishing machine. This machine creates a superbly flat and highly polished edge to all our worktops. During this process a 3 to 4 mm bevel is also put on the top and bottom of the finished edge to create a superb modern look.Several options of moulded edges are also available with our CNC workstation detailed below. Edge details can come in many forms. Finch’s supply many different types of edge details to compliment your kitchen worktops . This type of work is only undertaken on our dedicated CNC workstation to ensure a perfectly accurate size and perfectly polished finish to moulded edge details. Our Italian made Intermac CNC is the best the stone processing world has to offer with advanced, unmatched features and a precise, perfect finish. We have several shape options available including bullnose, 1/4 bullnose, new york, ogee and 45 deg bevel. These options can be mixed and matched to create something totally unique. 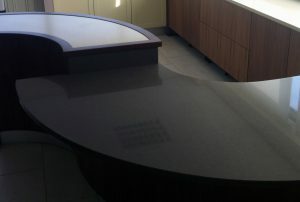 Polished Under-mounted Sink Cut Outs via C.N.C Workstation…..
All the work involved for polished cut outs in granite & quartz is CAD designed and completed by our state of the art Intermac CNC workstation. 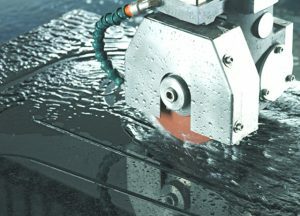 This expensive but essential piece of equipment is capable of cutting extremely precise sizes in accordance to your specifications or that of the sink manufacturer. 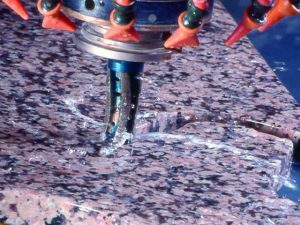 This machine also polishes and moulds edges to the highest standards available and is always used to cut any sink shape in granite, quartz , marble or indeed any stone. Click the play icon on the video to see our CNC in action. Click on the images below to see other operations and services available from Finch’s using the latest technology with our Intermac CNC workstation. 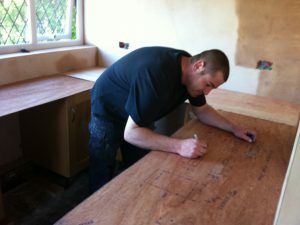 Island Unit and Worktop Shaping…. Granite and quartz island units and worktops can be made, bespoke to your requirements. From simple rounded corners to elaborate shaped patterns any design can be accomplished with ease. Once again all this type of work is specified and designed on our CAD system then loaded onto the CNC workstation for the best, accurate results. To the left you can see how our designs are programmed into our cnc machine and on the right is the finished product. (available to view in our granite and quartz showroom in Appley Bridge, Wigan.